No, I'm not talking about a vintage, decorative tube with a mirror on the inside to throw in your purse. Today's wedding tip concerns looking your best in photos taken after the ceremony. On your wedding day, you'll get ready, have your make-up professionally applied (yes, it's so worth it!) and look picture perfect. Then, at the conclusion of your ceremony, the officiant will announce that your new husband may now kiss his bride. Wonderful moment! The crowd will cheer, although after the morning hours have passed and you've smooched your beau, you may need to freshen up before you take more photos (the ones you'll want to cherish forever and always). If your maid of honor has pockets in her dress (on my personal list of best inventions), have her carry your lipstick and/or gloss and some tissues with her so that you can reapply after the ceremony. You can also ask your coordinator to be in charge of this task as well. 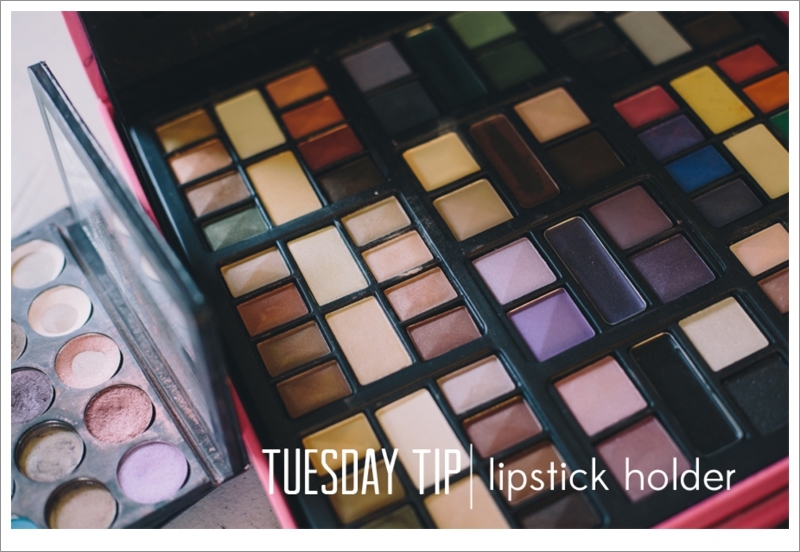 Ask your make-up artist exactly what you should touch up with because they know best! And voila! Your smile will be beautifully outlined for many more photos!